Success! 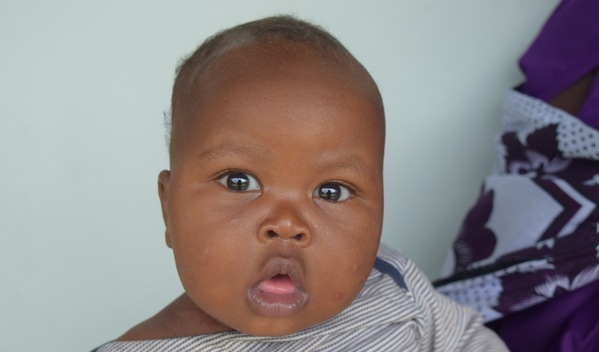 Ester from Tanzania raised $890 to fund clubfoot correction. Ester's treatment was fully funded on January 8, 2018. Ester is doing well after starting her casting and manipulation treatment. She is in her second week of treatment. After a full recovery, when she grows up, she will be able to walk without difficulty and without pain. 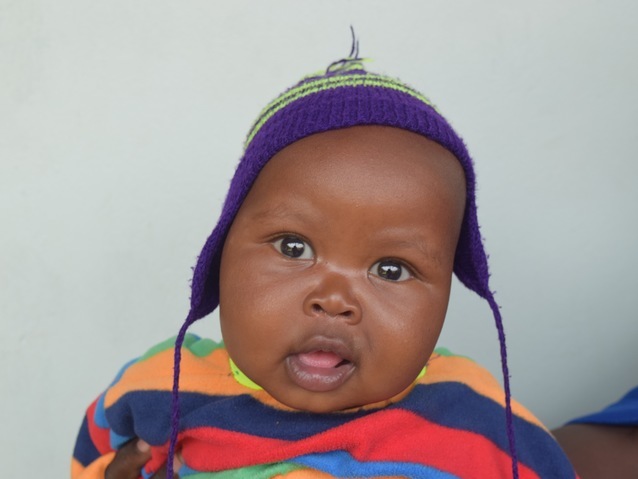 Ester is a six-month-old baby from Tanzania. She is quiet and gentle. Ester lives with her parents, who are small-scale pastoralists with 20 goats and five sheep. Ester has clubfoot of her right foot. Clubfoot is a condition in which the foot is twisted out of shape. This causes difficulty walking and even wearing shoes. Fortunately, Ester traveled to visit our medical partner’s care center, AIC Cure International Hospital. There, surgeons will perform clubfoot repair surgery on November 14. Our medical partner, African Mission Healthcare Foundation, is requesting $890 to fund Ester’s clubfoot repair. After treatment, Ester will be able to walk without difficulty and attend school when she grows up. Ester's case was submitted by Joan Kadagaya at African Mission Healthcare Foundation in Tanzania. Ester was submitted by Joan Kadagaya, Curative Medical Support Program-Partner Representative at African Mission Healthcare Foundation, our medical partner in Tanzania. Ester's profile was published to start raising funds. Ester received treatment at Arusha Lutheran Medical Centre (ALMC). Medical partners often provide care to patients accepted by Watsi before those patients are fully funded, operating under the guarantee that the cost of care will be paid for by donors. Ester's treatment was successful. Read the update. Ester's treatment was fully funded. Khum is a 59-year-old rice farmer from Cambodia. She has six grandchildren and enjoys listening to the news on the radio. Three months ago, Khum developed a cataract in each eye, causing her irritation and blurry vision. She has difficulty seeing things clearly, recognizing faces, and going anywhere outside. When Khum learned about our medical partner, Children's Surgical Centre, she traveled for four and a half hours seeking treatment. On March 4, doctors will perform a phacoemulsification surgery and an intraocular lens implant in each eye. After recovery, she will be able to see clearly. Now, she needs help to fund this $398 procedure. She says, "I hope I can see better after my surgery so I can help my sister bake cakes for her business." Baganiza is a farmer from Uganda. He is married and a father of eight children. For seven years, Baganiza has had an inguinal scrotal hernia. This causes him pain and discomfort and if not treated, the hernia may result in intestinal tissue damage or death. Fortunately, on April 10, he will undergo hernia repair surgery at our medical partner's care center. Our medical partner, African Mission Healthcare Foundation, is requesting $249 to fund Baganiza's surgery. Once completed, this procedure will hopefully allow him to live more comfortably and confidently. He says, "I like being with others during my free time."